Summer is the best time for get-togethers with family and friends. So, if it’s your turn to host…don’t miss out on energy savings opportunities that are as close as your deck or backyard. Give your oven a break and fire up the grill – Your oven uses more energy and heats up the kitchen, which means the A/C will be working overtime. Have a cookout to help cut your energy costs – and keep your home more comfortable. Load up those coolers – Keep the party outside. Stock those drinks and snacks in coolers on your deck or patio. Less foot traffic in and out of the house will help keep the cool air where it’s supposed to be – in your home and in the refrigerator. Illuminate with LEDs – They use 90 percent less energy, last 25 times longer than traditional incandescent bulbs and are available in a range of shapes and styles for outdoor use, including pool lights, string lights, spotlights and lanterns. Look for the Energize Connecticut logo when you shop for light bulbs - an instant discount has been applied to many ENERGY STAR®-certified LEDs. Automation systems – Easily set and control your pool’s temperature, pH level, cleaning and filtration so you won’t have to worry about checking everything while hosting your party. An automated system ensures that items run only when they need to, and that can also help you save. Heating – Did you know that each degree you turn up the pool heater results in 10 to 30 percent more in energy costs? Remember to turn off the heating system and use a cover when the pool isn’t in use. High efficiency pumps – Standard pool pumps use the most energy out of the entire swimming pool system, adding nearly $500 every year to your energy bills. ENERGY STAR®-certified pool pumps use 70 percent less energy than standard pumps and can save you up to $350 annually. 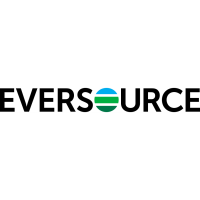 To learn more energy efficient ways to save at home, go to Eversource.com and the Energy Savings Plan page. This interactive planning tool is free and provides a detailed analysis of your energy usage, a customized savings plan for your home, and available incentives to help you better manage your energy consumption.